18/11/2012: I became officially the first American Muslim/Muslim person in the Islamic world who declared his candidacy to the Post of the Next Secretary-General of the United Nations since 1945. 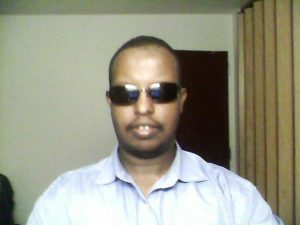 08/08/2012-18/11/2012: I became the Spokesperson of the Republic of Somalia. 1. Somali-Português ISBN: 9781304510006 on April 9, 1995, Nairobi, Kenya.by Badal W. Kariye. 2. Af-carabi Af-soomaali “Arabic-Soomaali” ISBN: 978-1-304-03066-5 published on 5th of May, 1996 in Nairobi Kenya by Badal W. Kariye. 3. English-Soomaali “A Teach yourself bilingual Course book,” ISBN: 978-1-304-33282-0 published on on 5th of September, in 1997 by Badal W. Kariye. 5, 1998 in Nairobi-Kenya by Badal W. Kariye, and Second Edition published on October 6, 2013 in Minneapolis, USA. 10. Norska-Soomaali Bilingual Course Book ISBN: 978-1-300-98939-4 published on June 25, in 1999, Nairobi Kenya by Badal W. Kariye. 13. Español-Soomaali ISBN: 978-1-300-98174-9 published on September 15, in 2001, Nairobi Kenya by Badal W. Kariye. 14. OROMIFFA-AF-SOOMAALI ISBN: 978-1-300-97800-8 published on May15, in 2002, Nairobi Kenya by Badal W. Kariye. 16. Italiano-Soomaali ISBN: 978-1-304-34947-7 published on June 12, in 2003, Nairobi Kenya by Badal W. Kariye. 17. Swahili-Somali Kamusi ISBN: 978-1-4276-4479-4 “First Bilingual and Plurilingual Dictionary.” published on 23th of December, 2009 by Aardvark Global Publishing Inc. Registered in UNESCO ID NO. 186772 – Swahili/Soomaali Kamusi. Af-Sawaaxili/Af-Soomaali Qamuus. Kariye, Badal Salt Lake City, UT, Aardvark Global Publishing, 2009. 18. The Chopped Love in My Heart ISBN: 978-14276-4448-0 published in 2009 P201 by Salt Lake City, UT, Aardvark Global Publishing, USA. 19. The Genius Lover “We need Family,” ISBN: 978-1-4490-8209-3 (sc) ISBN: 978-1-4490-8210-9 (e) published on February 24, 2010 by Author House, USA. 21. The Political Sociology of Security, Politics, Economics & Diplomacy “Quicker Academic Path for Good Governance ISBN: 9781452085463 (sc) ISBN: 9781452085470 (e) on December 16, 2010 published by Author House, USA. 22. The Queen of Lovers “We need you,” ISBN: 9781463415570 published on 1st of January, 2011 by Author House, USA. 28. Somali-Deutsch ISBN: 9781304520319 published on October 7, 2013 in USA. 30. SVENSKA ENGLISH “Pocket” ISBN: 978-1-304-54701-9 published on October 17, 2013 in USA. 31. DEUTSCH ENGLISH SOOMAALI ISBN: 978-1-304-54987-7 “Pocket” published on October 19, 2013 in USA. 32. ItALIANO ENGLISH SOOMAALI ISBN: ISBN: 978-1-304-55788-9 “pocket” published on October 22, 2012 in USA. 43. My Official Race To The Office of the Next Secretary-General of the Hiniusang Kanasoran ISBN: 978-1-312-71541-7 published on November 29, 2014. 44. The Stolen Newborn In the Maternal & Child Health Clinic ISBN: 9781312768505 published on January 1, 2014 in USA. 45. If You Love Me Then Don’t Get Jealousy ISBN: 9781329124486 published on May 8, 2015 in USA. 46. My Official Race To The Office of the Next Secretary-General of the Hiniusang Kanasoran ISBN: 9781329516991 published on 29th of August, 2015 in USA. 47. Поощрение Любовник в мире «Любовь, ненависть, преступления и беженцы» ISBN: 978-1-329-60887-0 опубликовано 10 октября 2015 года в США. 49 El Fomento Del Amante De La Paz “Amor, Odio, crímenes y Refugiados” ISBN: 978-1-329-61178-8 publicada el 10 de Octubre de 2015, En los Estados Unidos de América. on October 14, 2015 in USA. 51. Лучший любовник для мира во всем мире, опубликовано 14 октября 2015 года в США. 52. Mpenzi Kwa Amani Duniani, Kwa nini Umoja wa Mataifa inakiuka Sheria yake ISBN: 978-1-329-62313-2 kuchapishwa Oktoba 15, 2015 katika Marekani. 55. Bästa Kärlek för Fred i Världen, Varför FN bryter mot dess lagar? ISBN: 978-1-329-62713-0, 16 Oktober 2015 i Förenta Staterna. 73. The Fostering Lover in Peace “Love, Hate, Crimes & Experience.” ISBN: 9781329523319 published on November 6, in 2015 in USA. Somalia is and will be under irregular hegemony if you do not unify now to revive national prestige and unity on 1st June, 2011 published in P14 Warsan Times Newspaper, MN USA. New Night-dreaming Nations within the Democratic Republic of Somalia on 1stJune, 2011 published in P7 Somali Times Newspaper, Mogadishu, Somalia. Somalia is under constant crisis of geopolitical interests locally, regionally and internationally “Part I” on 1st April, 2011 published in P14 Warsan Times Newspaper, MN USA. Somalia is under constant crisis of geopolitical interests locally, regionally and internationally “Part II” on 1st of May, 2011 published in P14 Warsan Times Newspaper, MN USA. Africa will be under New Imperialism on 1st of January, 2011 published in P14 Warsan Times Newspaper, MN USA. Education is our key to National, Regional & Global Development on 16thof November, 2010 published in P14 Warsan Times Newspaper, MN USA. Cyber Security for Somalia on 1st of October, 2010 published in P14 Warsan Times Newspaper, MN USA. Ending of Mental Slavery on 1st of September, 2010 published in P14 Warsan Times Newspaper, MN USA. Somalia is a Little Paradise on Worldly Hell in the 21st Century On 16th of August 2010, published in P14 Warsan Times Newspaper, MN USA. Good Governance in Policy Analysis and Administrative Cooperation March, 2007 African Internal Conflicts, Prevention & Hostility Mediation April, 2006 African Political Thought in Good Manner May, 2006 Cyber Diplomacy in National Security Safety and Mass Media Limitation June, 2005 Public Diplomacy in Electoral Voting 1st of July, 2005 Religious Diplomacy and Co-existence in the 21st Century May 2005 World Trade and Commodity Exchange in free market September, 2005 Democracy in Dictatorial Regimes and How Replace Peacefully December, 2005 International relations in Covert Operations for Natural Resources January, 2004 Preventive Diplomacy, Conflict Analysis and Mediation June, 2004 Post Conflict Recovery & Disorder Cure December, 2004 Good Governance in Military Regimes and Public Information Networking for Democratic Change May, 2004 IDPs need Assessment, Disaster Preparedness and Assistance Program in Dangerous Zones where you can not dare August, 2003 Human Rights advocacy, Information planning, sharing and Networking IGAD, Somali Peace Conference October, 2002 Multicultural Experiences and Countries worked or traveled in these following countries Kenya, Uganda, Tanzania, Uganda, Sudan, Rwanda, Burundi, Ethiopia, Djibouti, Somalia, South Africa, Belgium, DRC, Libya, Rwanda, Burundi, German, Italy, USA etc. 1. 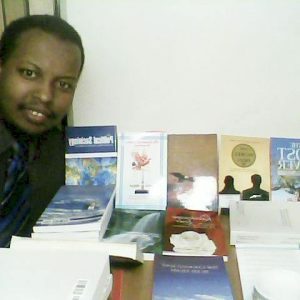 Somali National Literature Award on August 7, 2012, the Union of the Somali National Authors (USNA). 2. Mogadishu: August 22, 2012 H.E. President Sheikh Sheikh Ahmed awarded the Somali Highest Civilian Medal for Public Service to MP. Ambassador Dr. Badal W. Kariye who has been serving as the Director of the Somali Office of Governmental Information Technology in Multilingual E-Governance, the Head of Public Services and Spokesperson of the Somali Ministry of Foreign Affairs & International Cooperation. 3. Award from University of Minnesota/OLLI Course Leader Lunch on May 20, 2009. 4. The Highest National Medal of Public Service in the Republic of Somalia 2005 is awarded by His Excellency President Abdullaahi Yusuf Ahmed. 5. UNPOS Medal of Youth Advocacy & Development 2003. 6. A Comparative Religious and Friendly Interfaith Co-existence Award, Eastliegh Mennonite Community Center, Mennonite Eastern Africa 2003. 9. Mogadishu on Thursday June 14, 2018 the Union of the Somali National Authors (USNA) awarded Ambassador H.E. Dr. Badal Kariye, the Somali Literary Award 2018 for his 105th History Book of the Somali Rise and the Fall of the Somali President published on Saturday April 14, 2018 in #USA. I like to write developmental research, teaching and learning as well as swimming.